1. Reach a larger audience more often. Truckside advertising can produce about 40,000 to 60,000 impressions a day. 2. Your advertising dollars will go much farther. So if you put an ad in the paper it’s only there for one day, at most a week right? And when you pay for air time on television, how many times is that run? Who will see it if it airs twice at midnight? Not to mention these ads are usually only 30 seconds. Vehicle graphics last years.. and then some. 3. Generate a positive opinion. About 75% of people say that have a favorable opinion of companies they see through truckside advertising. Likewise, most people feel a company is more established and more successful when this form of marketing is involved. 4. Create a buzz and increase awareness. Think about it, 98% of Americans have been in a vehicle in the past week. 91% of those people notice truckside advertising. Many times viewers believe that the products being advertised is being delivered, they think their neighbors are using their services and they begin to generate those positive feelings toward a brand. 5. Bypass restrictions and influence a lucrative market. 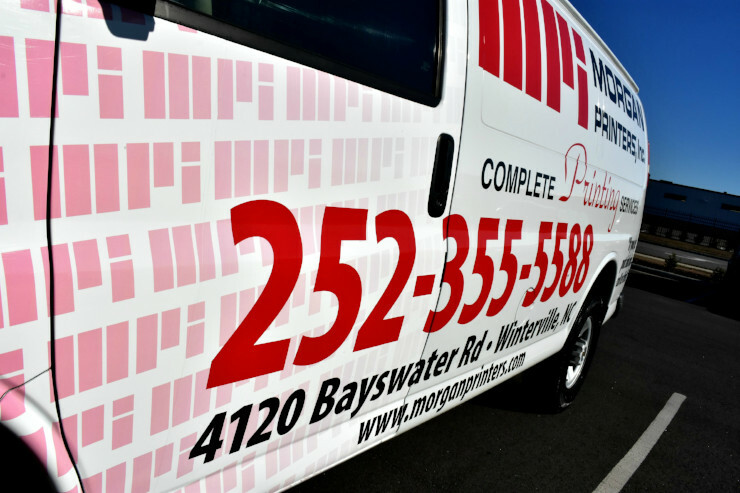 There are lots of restrictions when it comes to billboard placement, rates, and timing.. having a mobile billboard is a great way to break free from that. It’s a more effective way to reach your targets. Heavy commuters are most likely to see your advertisements, these people tend to be middle aged, employed, therefore have a higher income, and most of the time have children. (Source: Arbitron National In-Car Study: 2009 Edition) These people are probably in your market. • Multiple studies have shown an increase in awareness from using truckside advertising with an existing ad campaign. How’s that for impressions?! With so much competition on the web and in the media.. consider this your best option. Daily Radio= 2 hrs. 57 mins.